See what light can do for your PETROL / CNG Station. Your petrol / CNG station is oasis on the road. A welcoming sight for the motorists that need fuel, a refreshment stop for tired travelers, and a safe place to pull up and park. The right light can encourage them to visit more often. Our lighting solution products can add value in many different ways throughout your petrol station. Spiral Ways (Pvt) Ltd; ensure that within the fuel bay, the petrol / CNG pump clearly illuminated while drastically reducing the energy cost at the same time. Everything may be visible, pumps, people, columns & cars. Spiral Ways (Pvt) Ltd; Offering a complete lighting solution. Good lighting does not just illuminate the way for people on the move. It also has the power to make your brand sparkle, encouraging motorists to make a break from their journey to fill up or buy refreshment. What’s more, the safer & more welcoming you can make the ambiance, the more loyal your customers are likely to be. Our solutions are designed to bring out the best in your Petrol/CNG station without making any glaring errors in term of energy efficiency. Spiral Ways (Pvt) Ltd; can help you to improve your lighting and reduce your energy bill. 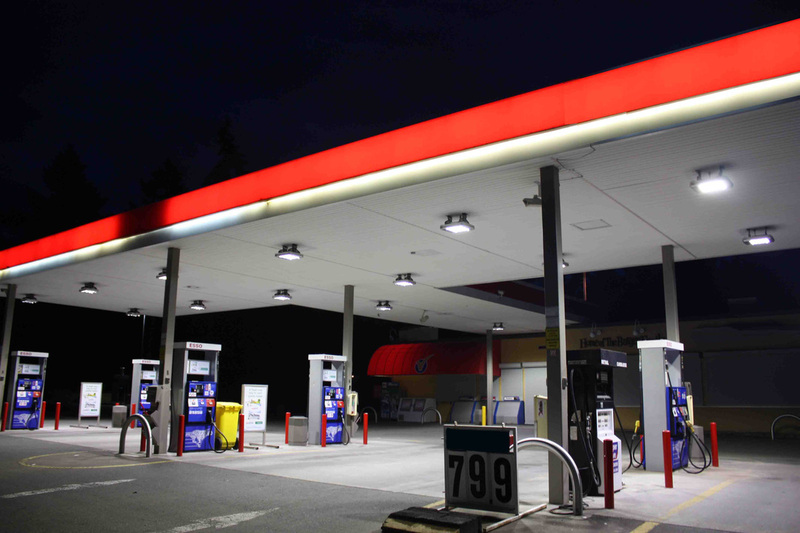 After carrying out a complete lighting audit, we can provide you with a complete retrofit lighting plan for your petrol station; a turnkey installation will utilize the most energy-efficient solutions to optimize your lighting and maximize your savings. In fact, by moving to LED and using innovative solutions that switch lights on only when needed, you could see energy savings of up to 85%. Do you know that the LED lights pay itself its initial cost within a period of 2-3 year by reducing your monthly bill up to 85%.